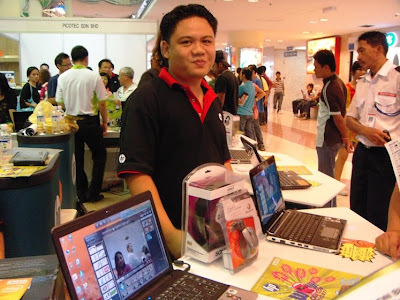 That happened on 3 - 5th April 2009 at Centre Point Sabah(CPS). 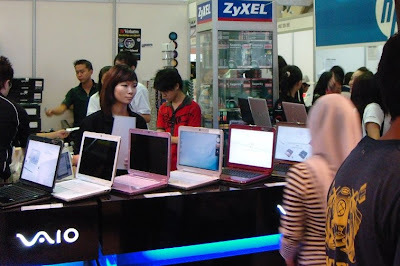 This one, being outside the PIKOM schedule of event, was themed PC Show 2009 by CPS management. I went there on 4th April and gosh! it was bumper-to-bumper for both outside and inside of CPS. It was awfully difficult to get empty parking bay but once inside the shopping mall, it was all smile and satisfaction; well at least for a PC-fair hunter like me. 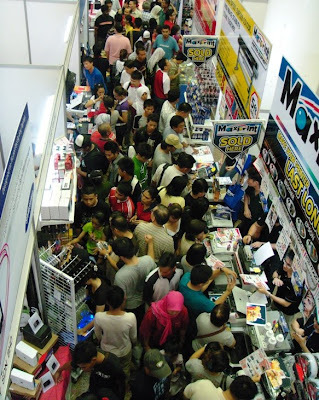 I can tell you it was very crowded, you can practically become "glued" to the person in front of you. Best bet a pervert can go for to quench some thirst! "And you, yes you! I can see you", he spotted me taking pic. 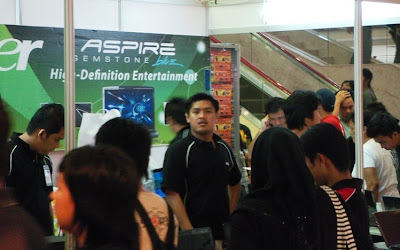 He should be proud, a lot of lenglui visited his booth. I think. "We've got everything from big to small. What colour would you like ma'am?" 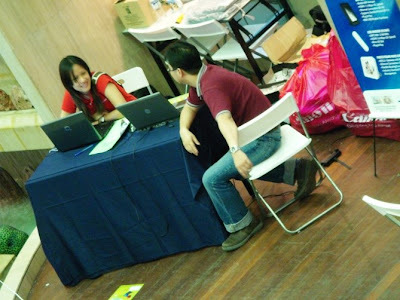 He was fondly talking to the lady in the laptop's web cam (look at the Laptop) before I came in to "interrupt" them. I was damn jahat ler. He willingly smile for the album tho. 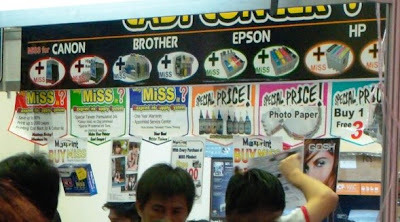 There you go, Canon MP145 comes with MiSS costs you only RM239. 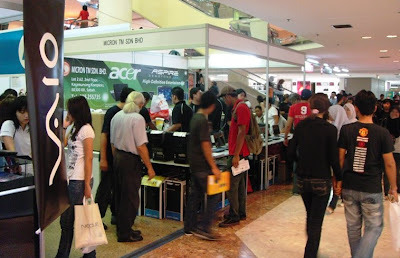 Just next booth you'll find similar item for RM259. 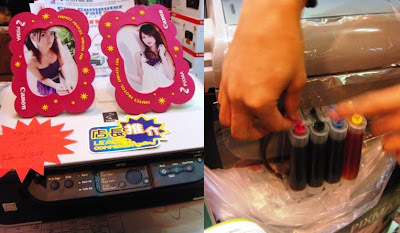 I got myself an All-in-one Printer, Canon MX318 for RM399. Next door you'll find yourself setbacked at RM459. It really pays to take the trouble to visit every booth and get yourself bumped, literally, in the process! is the guy in maroon you? want to tackle the girl ah? hahahaha!